If one thing is for sure, it's that actor Ben Stiller is a funny man. I can't possibly count the number of times I have referenced his Heavyweights or Zoolander quotes with an impossibly wide grin. But in times of sorrow, he has proven he can be just as reverent as he usually is hilarious. 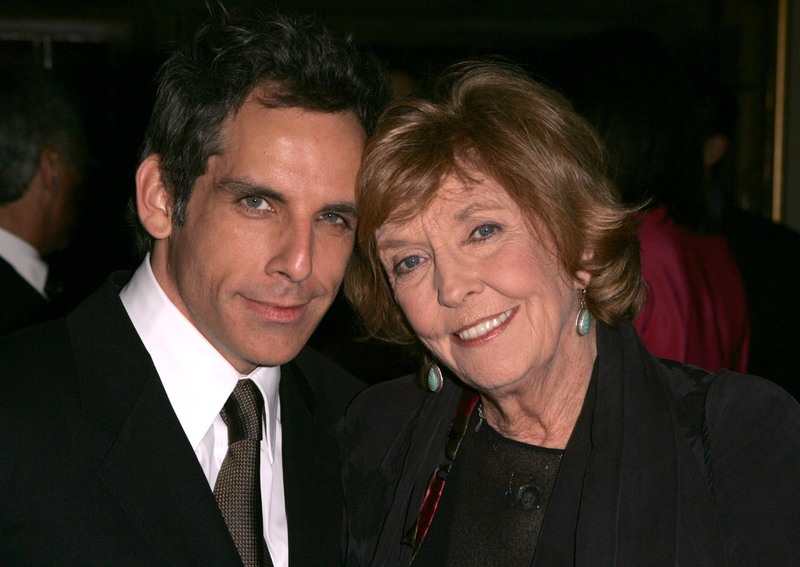 If you didn't know, Stiller's mother, comedian Anne Meara, passed away on May 23. Meara was 85 years old at the time of her death. Understandably, it took her bereaved son some time to collect his thoughts and share his words of remembrance and loss with the rest of the world. But, as E! Online points out, he managed to do so on Twitter on Monday, saying, "Thank you so much for all the kind words about Anne. All of us in our family feel so lucky to have had her in our lives." He posted about his mother again on Instagram early Tuesday morning, and this post felt much more intimate. On his personal Instagram account, the typically silly and lighthearted snapshots were replaced with a captivating black and white image of his mother in her youth. In it, Meara is staring happily into the distance with a seemingly ethereal light shining down upon her — an absolutely fitting photograph for a son paying homage to his beloved mother. Though it seems as though that charming picture could have even been enough for a social media memorial, Stiller went on to caption the photo saying, "My mom Anne. She was an extraordinary person. Miss her." Stiller's concise sentiment truly defines the old adage, "short but sweet." The Instagram post as a whole is a poignant tribute to his mother, and it proves that so much can be said in so few words. In a world where oversharing is accepted as commonplace, the actor's restraint in his post speaks volumes. She most certainly will be missed and remembered as extraordinary by the public, but most importantly by Stiller himself.